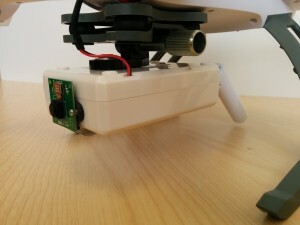 Team ipcortex put together the keevio eye hack for the TADHack London mini hackathon at Idea London on 11-12th April. 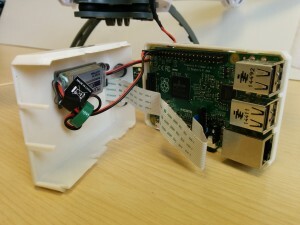 The idea was to develop a proof of concept for WebRTC running headless on small embedded devices and talking to our keevio video chat interface. Hardly mission critical but TADHack is a load of fun, and a good way of trying stuff out that pushes the technology envelope a bit which inevitably ends up feeding back useful ideas and techniques into our core platforms. There was also a lot riding on this after our success with RTCEmergency at TADHack last year. Matt Preskett is one of our lead developers and the guy behind the hack, and this is his write up of the experience of developing the app. I did a bit of research on Tuesday evening, but decided with the timescales involved and some of the parts/equipment needed that perhaps we were biting off more than we could chew. Also I wasn’t really sure how I was going to run our API on a headless Raspberry Pi 50ft in the air. Even if that could be overcome I wasn’t sure the ARM processor would be up to the task of decrypting and encrypting the streams. Wednesday morning I had all but written off the idea. At the time I was working on load testing our UC platform, which required running our API on a headless server. I set about looking into running headless Chromium, and, by the end of Wednesday with the help of Xvfb I had our API running and automatically accepting video chat from keevio. Thursday was a busy day we didn’t really have an opportunity to discuss the hack. Rob as perhaps a sign of desperation speculatively ordered a Pi and Pi camera. 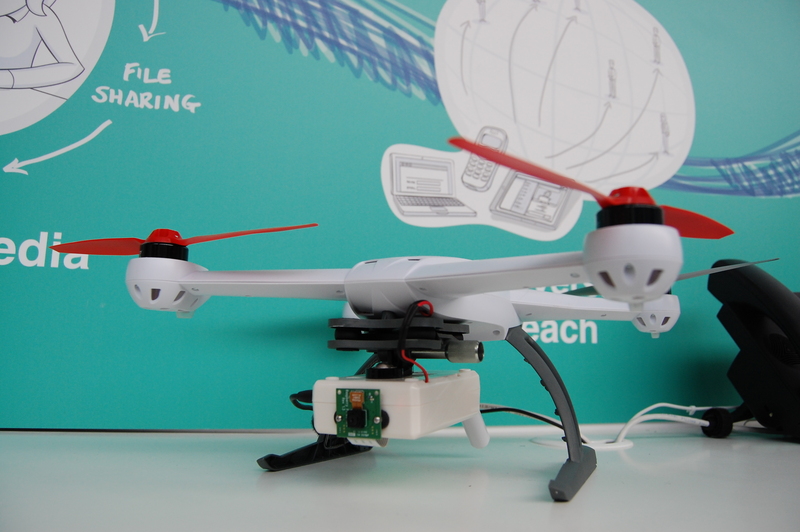 Friday morning and we still hadn’t concluded what we’d be doing for the hack, after a quick meeting we gave Pi copter (Pi in the sky?) the go ahead. We had just over 48 hours to put all the pieces together. I started off with Raspbian; I don’t really like the extra gumpf that comes with this distribution but I didn’t have time to piece a fresh instance of Debian together. Raspbian only offers Chromium 22 in its repositories; this was when WebRTC was in its infancy. I looked at compiling the latest Chromium, but this would require either a cross compile environment or compiling on the Pi, neither of which I had time for. I looked around again for an alternative distribution and settled on Arch after checking that they offered an up to date version of Chromium for ARM. It’s a bit bleeding edge but more than sufficient for our requirements. After getting the Pi installed the first thing was to get Chromium to recognise the camera. Chromium talks to video devices through the V4L component of linux. After rebooting the Pi, udev created a /dev/video0 device, so it was looking good. The next step was to install Chromium, Xvfb and lighttpd. I setup lighttpd to listen on loopback as I was going to be hard coding the username and password into the webpage: not nice but necessary. Then I connected using vncviewer to localhost; this allowed me to import the localhost certificate into Chromium’s certificate authority to stop the security warnings. I settled on netctl to setup the wireless network as this was quick and easy, after having a bit of a nightmare with an access point I borrowed from work I ended up using an old Sky router I had lying around. keevio eye mk II: no zip ties in sight! Finally I put everything together. Feeding power from the balanced charging port of the LiPo battery to a 5V UBEC into the Pi’s GPIO interface. In the process, I managed to accidentally reverse the polarity into the GPIO… which felt like game over as it was now midday Saturday. Luckily something in the supply saved me and it was OK. Attaching the Pi to the quad was an engineering challenge in itself but inventive use of zip ties and self adhesive pads worked out. After a quick test run we got clean video up to 150M and still received video up to 300M. Here’s a quick video of keevio eye in action!